Wow! Beautiful! Crafty! Useful! What a fine job you did! I’m glad you like the step-by-step! =) Yes, you just can’t beat the non-staining aluminum coating on an ironing surface! Great work! And really good looking, too. Your studio is so beautiful. ‘Anything worth doing is worth doing right’ — and you did it right! For those who don’t have room for a permanent ironing table: Years ago I made an ironing table from a 18″ x 48″ piece of wood (actually, an old coffee table top) and five 13-ounce metal coffee cans, plus 10 plastic coffee can lids. By attaching 5 plastic lids to the underside of the board (one a few inches in from each corner plus one at the center), I could slip the cans into the lids for stability. The other lids went on the bottoms of the cans to protect my table top. The height of the cans was just right for raising the ironing surface to waist height when I put this contraption on my kitchen table. The padded and covered top (layers of cotton flannel padding plus layers of muslin, all ironed into place one at a time before stapling) could be stored behind a door when not in use. The cans, of course, had to “live” in a box when not in use, but I used this improvised ‘ironing table’ for ten years! I still use the padded top when ironing tablecloths and pillowcases. Ugly but Cheapo, and we drank the coffee. I wish I had known about bump cloth, or that you could buy silvered cloth. I would much rather live with your 60 inch, completely stable table with storage! Your coffee can version sounds great too! The best thing about not having to attach my top permanently to the sideboard means, I can also take off the ironing top and store it if I want to use the sideboard normally again. My ironing surface would probably store easily behind a door as well. What a great idea! Maybe I’ll do something similar in my sewing room Thank you for the inspiration! This is fabulous, Brooke (and by the way, I am so happy to see you back with a post. I was getting worried about you… I need to follow you on Instagram so I know you’re okay!). So much good information and great ideas in this post. You have certainly made the wheels in my head start turning! My parents (especially my dad) usually keep up with my daily activities by spying on my Twitter & IG even though they don’t have accounts, hehe. It really is the best way to check on me because I can update both of those from my phone. I can’t believe how many back-to-back jobs I’ve been getting this year! Fantastic! 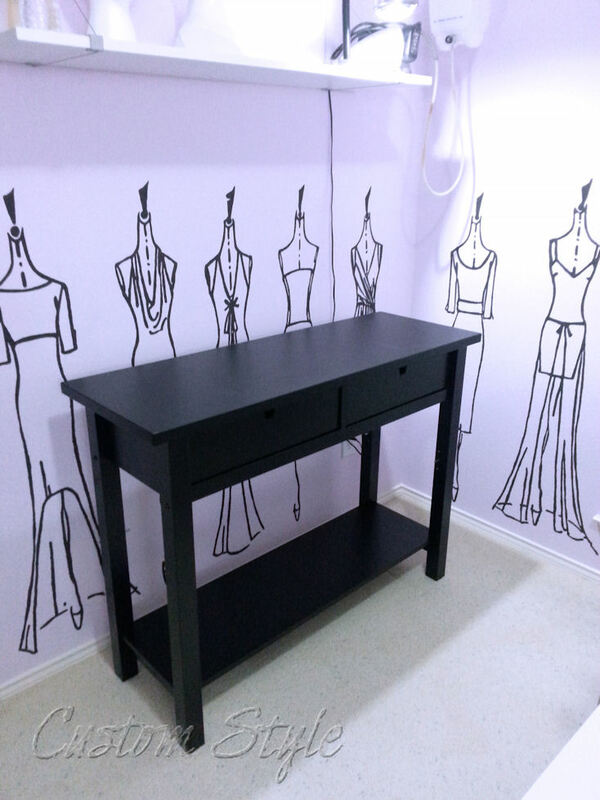 I would love a larger more stable ironing table but it will have to wait til I have an actual sewing room! Right now I have commandeered part of our family room. 🙂 Love the wall design… You did a great job on it Brooke! So nice to know you enjoy seeing my work space – there will be more to come once I have time to finish reorganizing everything else. Wow – great hack! 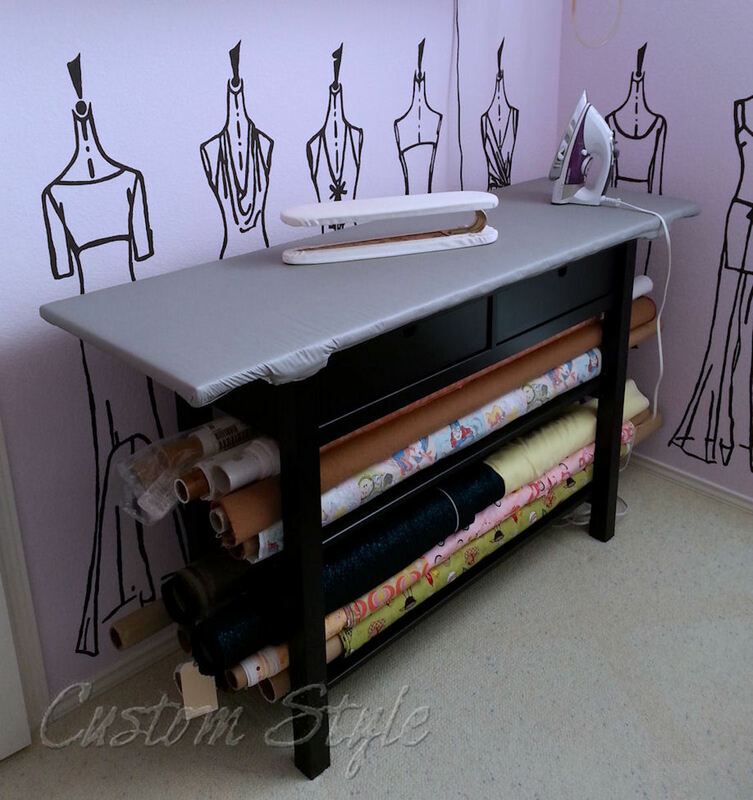 I love the outlines on the wall of your sewing room. Are they stickers? Thanks & thanks! The dresses on the wall are Vera Wang sketches from a book that I projected on the wall, pencil traced, and then painted in. 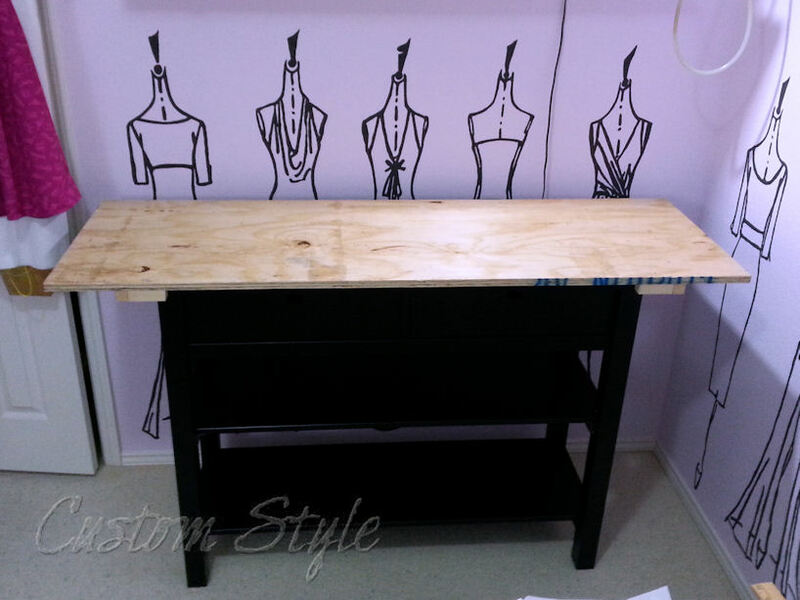 I am so inspired with the things you make for your sewing room. I love your new ironing table. Did you end up needing the full two yard of the aluminum coated fabric? 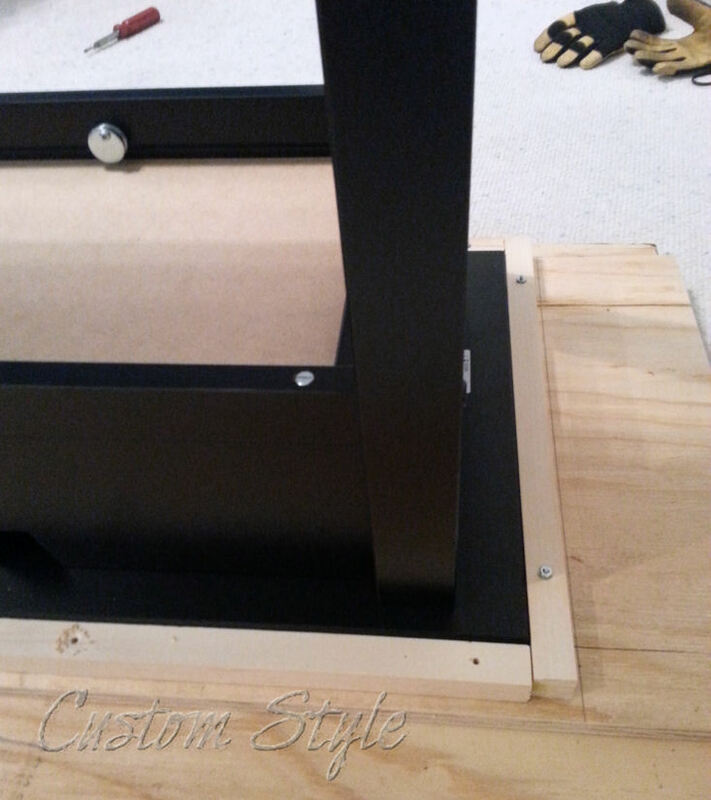 Yes, I needed 60 inches (length of my tabletop) plus enough to fold around the edge and staple to the underside. 72 inches (aka 2 yards) was just the right amount. This is fabulous! Thanks for sharing how to do it. Love it! If I ever have space for an ironing table, I want to make one. Thanks for the instructions! 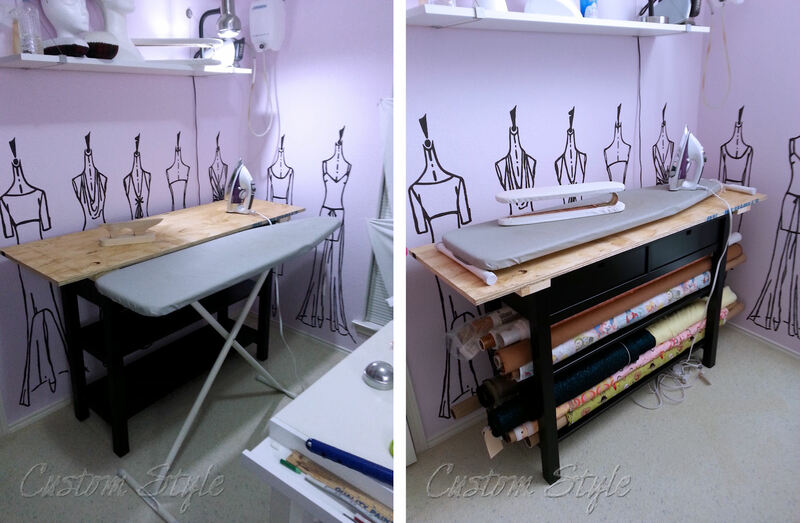 I’m soooo jealous of your sewing studio! Thank you! I hope you have the extra space for one someday! How heat resistant do you think the cover is? I’m looking at making a removable cover for my counter top, do you think the two layers of fabric would totally protect everything underneath? 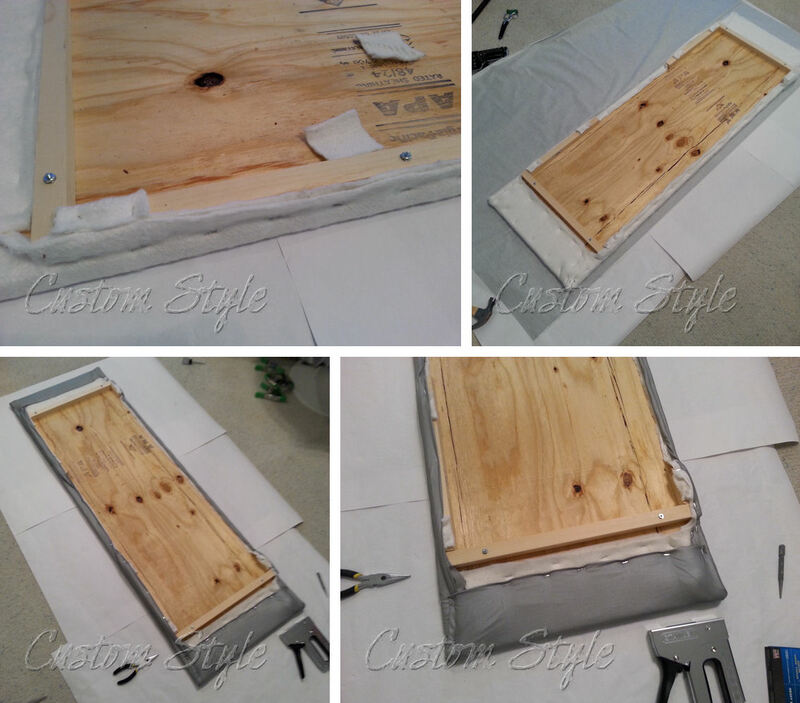 I think it’s pretty heat resistant, but I would make a removable board using a piece of plywood like I did for my table just to be safe, especially if you have laminate counters. You could just cover a thin piece of plywood and put a non-slip rubber mat (like cabinet lining) under the removable board to keep it from sliding around. Yet again you have created a wonderful solution! The added storage space is a bonus. Thanks for the Post!. what a wonderful and innovative idea. I am recently retired and can now devote more time doing what I love. My sewing room is a work in progress, this was my first project and I love it.Soon my once used bedroom will be my haven for fun and creativity. Gotta go now there is ironing to be done. Hi! I love this! I am currently getting ready to build my own ironing table with my dad 🙂 I just have one question. 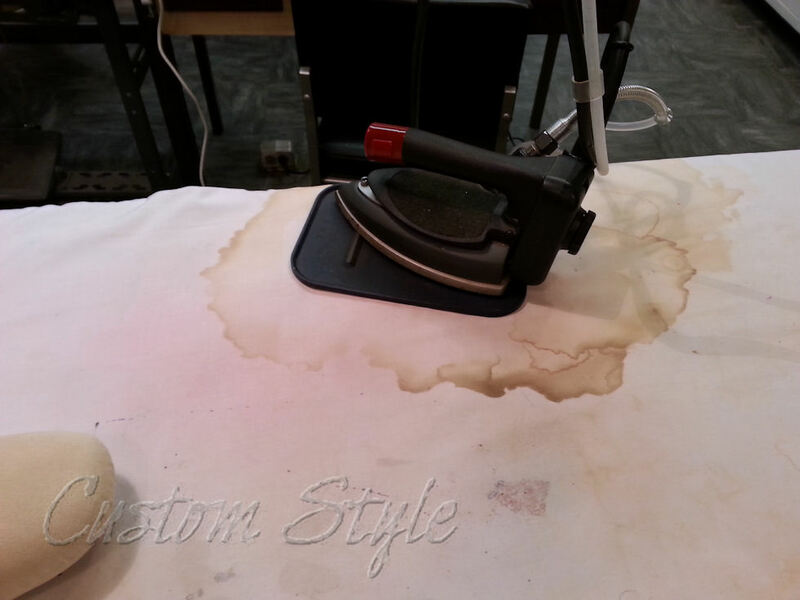 Do you use steam when you iron? Do you have to worry about the wood warping from the steam? Thanks! Yes, I use steam (a lot). 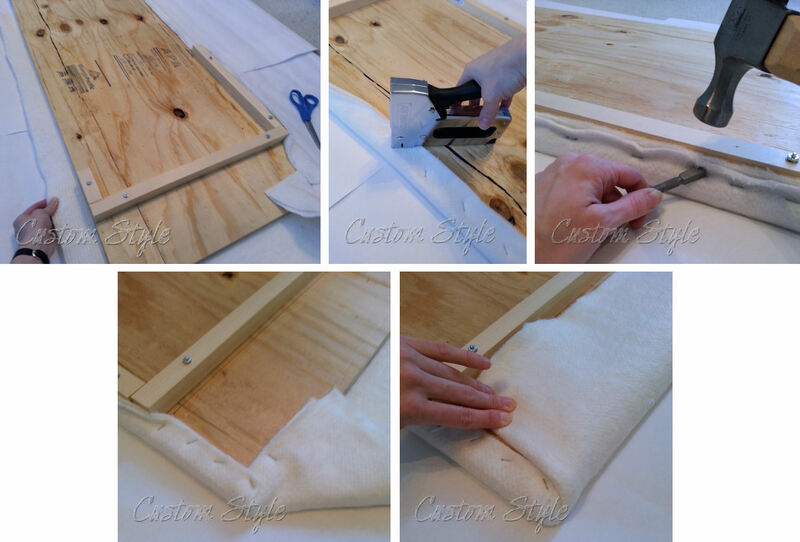 The bump cloth is what protects the wooden top from getting wet and warping. And I’ve never seen an ironing table in a costume shop that has any issues since everything dries out pretty fast because of using a hot iron on the surface. You might have trouble with the wooden top if you don’t use the bump cloth layer(s) though. That is a question I’ve been to which I’ve been seeking an answer, as well, but it’s never been properly answered until I came across this entry in your blog, Brooke! I do have a question about the bump cloth, though, is it so thick that the pressing surface isn’t as hard as one would want if one were pressing for quilting? What Is the name of the Vera Wang Book please? Love the walls and ironing board. Thanks! The wall sketches are from the book “Vera Wang on Weddings”. My husband made me this for Mother’s Day and I love it! Thanks for the tutorial! This is so nice! Have you noticed any warping issues with the solid wood top? I need a new ironing surface and this just might work! No, I have not had any warping issues. =) And I’ve never worked in a shop that had any (most shop ironing tables are a padded & covered piece of plywood built like mine). The fact that I am never soaking the table in buckets of water is probably why it’s fine – steam and a little spray mist isn’t enough to do any damage, especially when I usually iron it dry as I work. Hope this helps! Excellent tutorial! I am planning on making a new ironing cover, I have never heard of or used bump cloth. So I was wondering if it is pinnable? I occasionally pin things in place on my ironing board, and hope to do so on the new cover, what is the weight and body of the fabric like? Thanks! Good instructions. 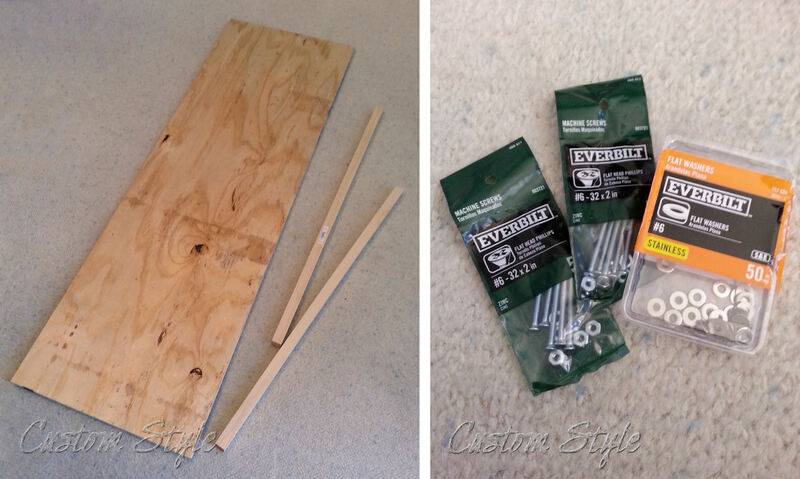 I am making three 2×4 foot boards to place on my bar area in my kitchen. That way I can use the number of boards I need for the project I am making. I am excited to get these started I will be able to place them horizontally or vertically side by side. hey! I like you project. I wanna make a small ironing board like the white you have. can you tell em if you diy it or where can I buy one? thanks! Hi, Miriam! The small ironing board is called a “sleeve board”. You can buy them at most fabric stores (usually next to the irons and hams) or you can order one from Wawak’s website. I have seen others use cotton batting instead of the bump cloth. Do you think it matters? Jan – Cotton batting may not hold up as well. 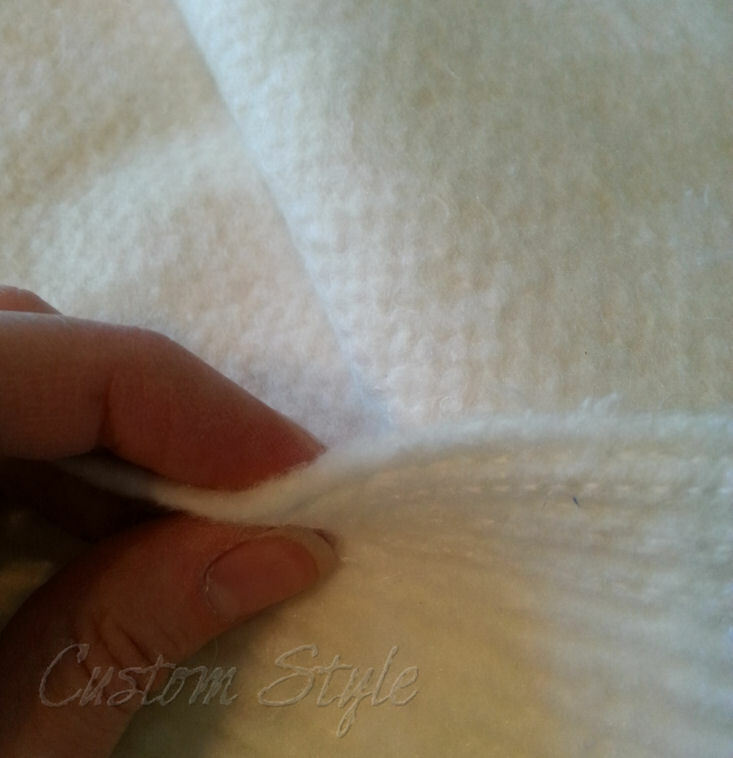 Bump cloth is thicker and more uniform in thickness than cotton batting so you’d probably need more layers if you use batting, but it should work okay. I also seem to remember hearing that bump cloth is good about not retaining moisture, so it might keep the ironing surface less damp (and therefore less likely to mildew) when you use steam etc than basic cotton batting. 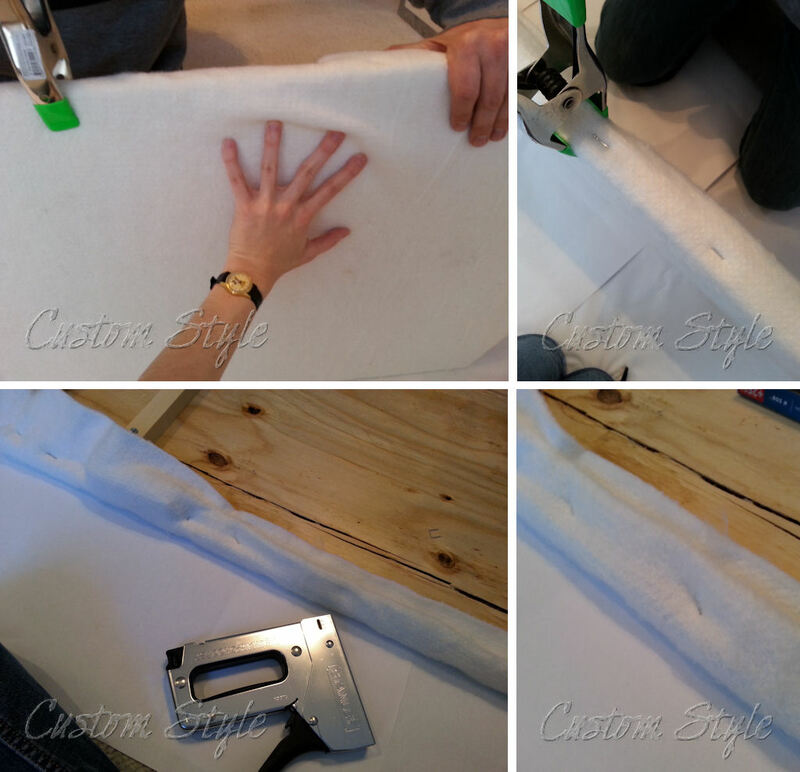 I loved your IKEA hack, as I have been plotting an ironing/cutting board IKEA hack of my own! (I asked a question about bump cloth in a reply to an earlier question about bump cloth, but I’ll reiterate it here, just in case): When I iron I use Best Press starch and it tends to soak into the board and cause staining. I noticed you mentioned that bump cloth might keep things dryer, but everyone in sewing and quilting seems to stress the need for a firm pressing board. Will bump cloth make the board to soft? I also wanted to compliment you on your ingenuity for projecting the Vera Wang images and then tracing and painting them in. And also huge fan love for responding to comments to years old posts! Hi, Renee! Thank you so much! As I posted in reply above, bump cloth is pretty dense. It makes a nice firm surface and it’s definitely harder than quilt batting. I am all about the firm pressing surface when I iron! This is the first time I had heard of bump cloth. I have been searching for better padding than batting. Thank you for some great information, and even several sources to get it. I got everything I needed to know about properly covering my board, and how to build a big board from this blog, and I really appreciate your expertise. I now have a new favorite blogger to follow. Thank you again for such good info. Aww thank you so much! I’m so glad you like my blog! =) I really need to get back into the long-form blogging – instagram has made it too easy to do quick microblogging and I just haven’t had time to organize a real blog post in a long time. Like so many others, I love your table. Thanks so much for the detailed tutorial. I’m thinking of doing something similar, and I was just wondering if the front of your legs bump the bottom shelf while you are ironing. Thank you! I’m glad you like the tutorial. =) There’s enough of an overhang on the tabletop that I can lean right against the edge of the ironing surface and not touch any of the legs or shelves below. And like the kick-plate area under a kitchen cabinet, the bottom shelf is just above the floor so your feet don’t bump it. Love this post- I just got the fabric in the mail, and I am wondering if I should wash it before I put together my ironing board. Does it need to be washed? Thanks! Love this tutorial. I am planning to modify an existing table for ironing. However, I had a question about your rolling fabric. Onto what do you roll the fabric? I buy a lot of fabric but do not have a good way to store it. Thanks! Glad you like the post! I roll some of my fabric onto cardboard fabric tubes – the kind of rolls the home decor fabrics and the more expensive bridal/formal fabrics are displayed on in fabric stores. You can use some wrapping paper tubes if they are long enough and sturdy enough, but I prefer the rolls meant for rolled fabric. I sometimes also use empty fabric bolts, but you have to fold the fabric in half before wrapping around those. Most of my fabric is stored in wire drawers and plastic tubs and I wash, press, and roll it when I’m ready cut it. I just bought this exact piece at ikea “as is” yesterday with the intention to make it into an ironing station for my quilting. My husband was having trouble understanding what I wanted for this so he looked it up and found you. 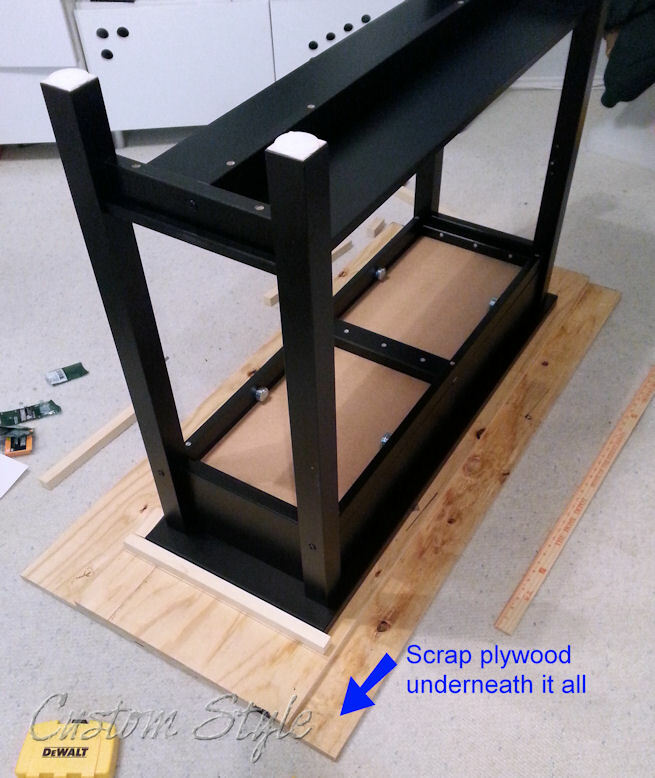 Thanks for your instructions, now my hubby can go ahead with constructing this for me.